Facebook and Microsoft became the latest tech companies to claim that their female employees earn as much as their male counterparts. The tech industry has been criticized for favoring white males, and the figures were released ahead of Equal Pay Day on Tuesday. 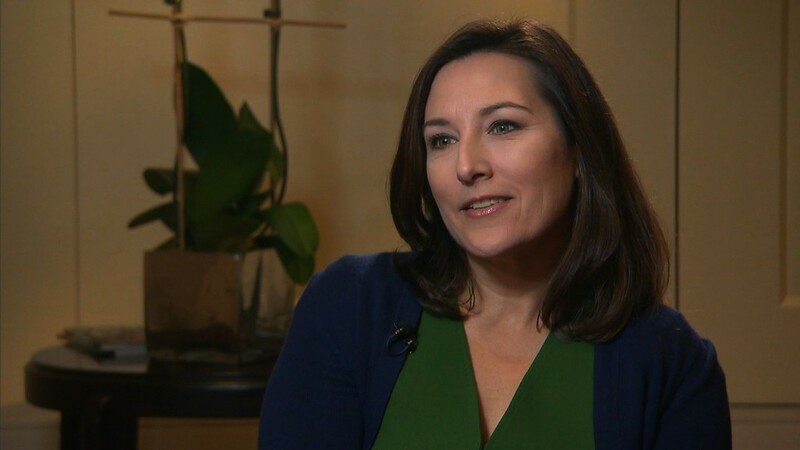 Lori Goler, Facebook's head of HR, said in a post Monday that Facebook reviews staff pay "regularly" -- and that the company has done so for "many years." "We complete thorough statistical analyses to compare the compensation of men and women performing similar work," she wrote. "I'm proud to share that at Facebook, men and women earn the same." This is the first time that Facebook (FB) has talked about its pay practices publicly. About 32% of Facebook's 12,000-plus global employees are female. Microsoft's (MSFT) gender pay gap report went into more detail, and said that women make about 99.8 cents for every dollar that a man makes. A year and a half ago, the gap was marginally larger -- 99.7 cents to a dollar. "I'm encouraged by these results," Kathleen Hogan, Microsoft's EVP of human resources wrote in a blog post. "Our announcement today is another step forward along the path of greater diversity and inclusion progress at Microsoft, and in society as a whole." Both of these reports follow a recent trend of pay disclosures from Silicon Valley firms eager to show progress on the tech and inequality problem. GoDaddy (GDDY) said last year that its women employees get paid more than men do on the whole. But in tech roles, women made about 99 cents to the dollar when compared to their male counterparts, and 96 cents to a man's dollar at the executive level. Apple (AAPL) CEO Tim Cook said in February that female employees make 99.6 cents for every dollar that a man makes. Salesforce (CRM) announced last month that it spent nearly $3 million to correct "statistically significant differences in pay." And CEO Marc Benioff told CNN's Poppy Harlow last year that he would look to hire enough women so that the company has an equal number of women and men. Amazon (AMZN) recently came out with the results of an employee survey which found that women made 99.9% of men's earnings in equivalent positions last year. Despite these announcements, a recent study shows that the pay disparity between men and women seems to be worsening in the United States. The country now ranks 74th in wage equality among 145 countries, down from 65th place in 2014, according to the World Economic Forum's Global Gender report. 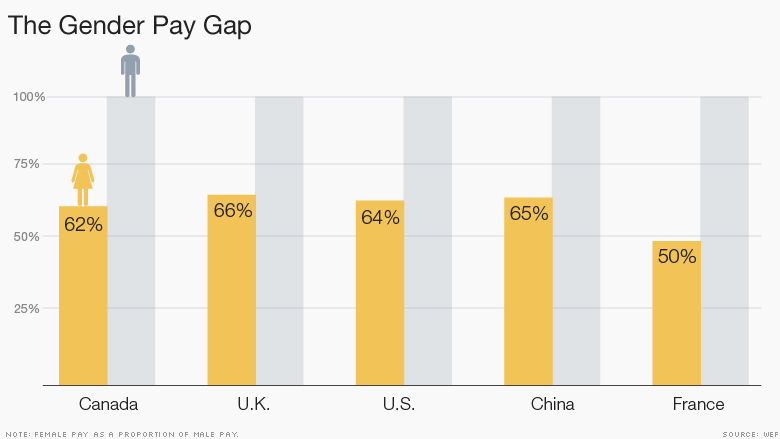 The gap between men and women's earnings widened to 64% from 66%.